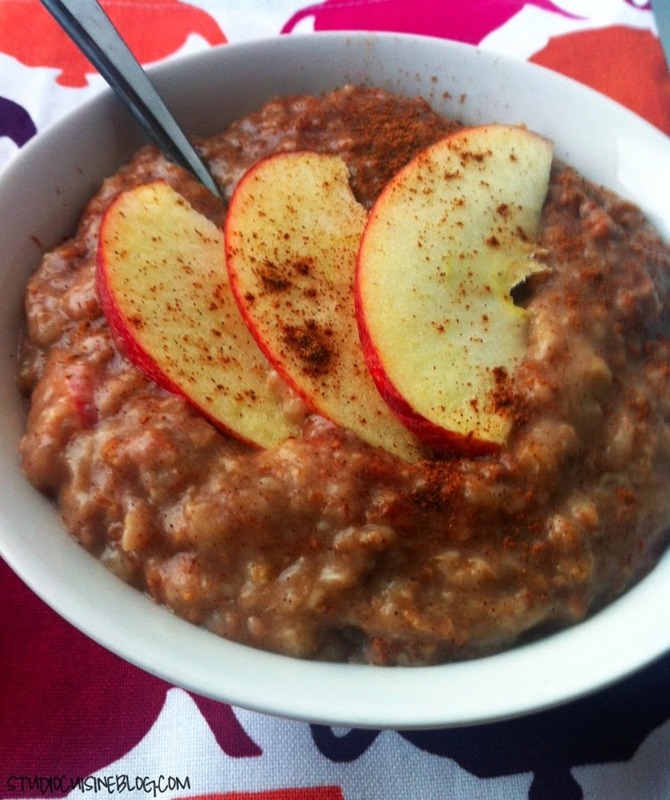 I typically prefer, and look forward to, my Chocolate Shakeology for breakfast each morning; however, I came across this slow cooker oatmeal recipe from Skinnyms and it is delicious! It takes less than 5 minutes to put together before heading to bed, and it's ready when you wake up, not to mention the wonderful smell! Try it out and let me know your thoughts! In a small heat-proof bowl, stir oats, cinnamon, vanilla, and salt. You have the option of either adding the apples at this point, or waiting until the morning after it is done cooking. Pour two cups water over the oats. Fill Slow Cooker about 1/4 to 1/2 of the way full with water. Add the heat-proof bowl with the oat mixture to the Slow Cooker. The bowl with the oats/cinnamon/vanilla has water in it, and also sits in the slow cooker surrounded by water. The water level should come to almost the top of the bowl. Turn the Slow Cooker on low for 7-8 hours overnight. Using a large spoon, remove the bowl from the Slow Cooker (Obviously, the bowl will be very hot!). If you did not add the apples before cooking, do so now. If you are doing so, add the sweetener of your choice.